The Centre has its roots in the Radio Astronomy Group of TIFR, set up in the early 1960s under the leadership of Prof. Govind Swarup. 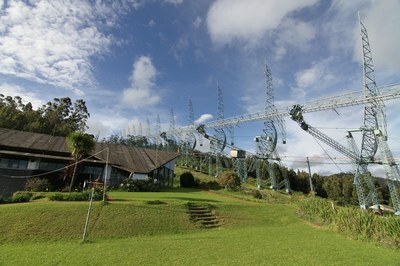 The group designed and built the Ooty Radio Telescope. In the early 80's an ambitious plan for a new telescope was proposed - the Giant Meterwave Radio Telescope. Since the site chosen for this new telescope was close to Pune, a new home for the group was built in the scenic campus of Pune University. The radio astronomy group morphed into the National Centre for Radio Astrophysics around this time. In 1963, the young branch of astronomy, called `Radio Astronomy‘ got a kick start in India with the establishment of radio astronomy group at the Tata Institute of Fundamental Research (TIFR), Mumbai. The group was set up under the leadership of Dr. Govind Swarup who was invited by Dr. Homi Bhabha to return from the USA and join TIFR. Initially the group had just a few astronomers and engineers. But, today radio astronomy in India has become a major research activity in the domain of basic science, engaging almost a hundred astronomers and engineers and institutes in Pune and Bengaluru. 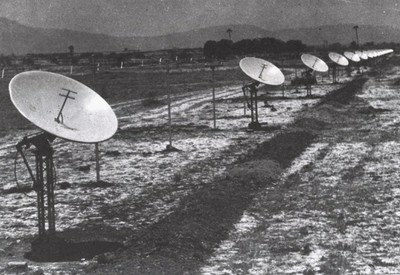 The first Indian radio telescope was set up by TIFR in 1965 at Kalyan (near Mumbai), mainly for solar studies at meter wavelengths. Thereafter, in 1969 a "big break" came with the successful construction of a large cylindrical, steerable radio telescope of size 530 x 30 meter, installed on a 11 degree hill slope near Ooty in southern India. It operates at wavelength of 92 cm (327 MHz). Due to its unique, indigenous design and construction, the Ooty Radio Telescope (ORT) continues to be the largest steerable single antenna. 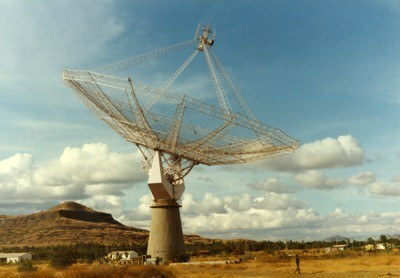 ORT firmly placed India on the world map of radio astronomy, in early 1970s. The next major leap was the indigenous design and construction of the Giant Metrewave Radio Telescope (GMRT) at Khodad, 80 km north of Pune. GMRT went into routine operation in 2000. The Y-shaped array of 30 fully- steerable dish type antennas of 45 – meter diameter each, spread over a 25- km region, is presently the world’s largest radio telescope operating at meter wavelength. Both GMRT and ORT are operated by the National Centre of Radio Astrophysics (NCRA), an autonomous Centre of TIFR, located on the Pune University Campus. GMRT is being operated as an International facility and used intensively by astronomers from over 25 countries. GMRT is India’s premier research facility in basic science, and we are celebrating completion of 10 years of operations as a productive international observatory. At 50 years, radio astronomy has matured as a thrust area for basic research in India. Currently, the ORT and GMRT are undergoing major upgrades to preserve their International competitiveness.